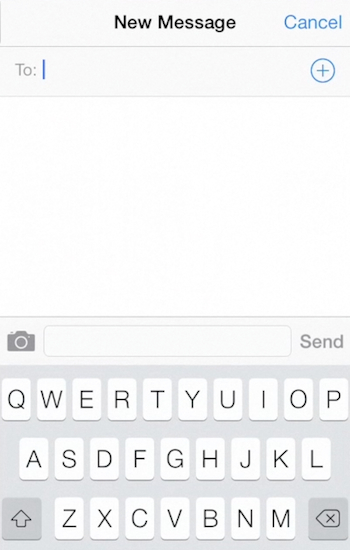 If you want to send an MMS to a group, you can easily do it with your iPhone’s “Messages” app. So how does that work? What is an MMS or Multimedia Messaging Service? Basically it’s an SMS enhanced with a photo or video message. You can send such “enhanced SMSs” to your contacts, provided that their phones support MMS sending and your data plan supports it too. Step 1. From you home screen, launch the “Message” app and tap the little pen and paper icon to start composing a new message. Step 2. Add there phone contacts of your friends by tapping the “To” field and selecting the needed contacts from your Contact List. 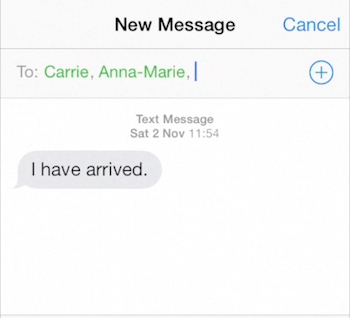 Write the text of your message. Step 3. Tap the little photo icon on the left of the text field and attach the photo or video from your Camera Roll to your message. 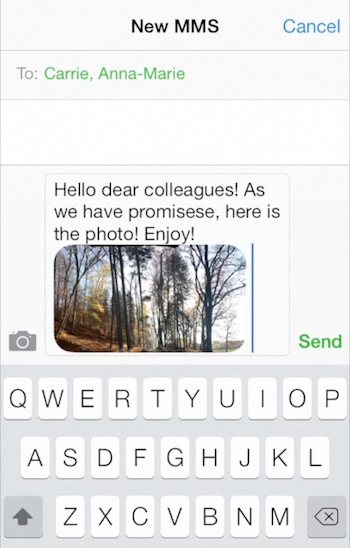 Alternatively, you can take a new photo or video and attach it to your message. Step 5. Next time when you try to send the MMS to any person from the previous group, sending the MMS to all of the group contacts will pop up as a suggestion. Step 6. If you need to send an MMS to a very-very big group, like 50 or more people, you might want to use the third-party apps to help you out. 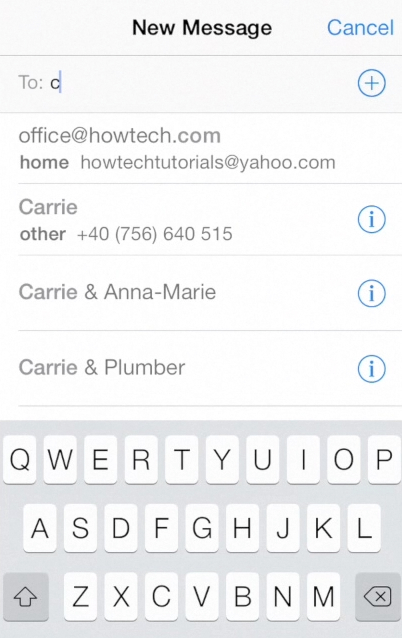 We cover such apps in our “How to send an SMS to a group on iPhone” tutorial. Result: Congratulations! You’ve just learned how to send MMS to a group on iPhone.